Since scientists have been working closely with magicians it is now possible to keep your entire life inside your phone or tablet – thanks to magic. We assume it's magic; either that or technology so awesomely complicated as to make cave men's heads explode. Thing is though, with all that 'stuff' in a teeny tiny handset it can be tricky to get it all out. That's where the Bose SoundLink Air Wireless Speaker comes in. 'Wireless' is the operative word there, as there is no headphone jack to stick into the top of your device – all the magic is transferred via your home's WiFi network. Which is jolly handy. 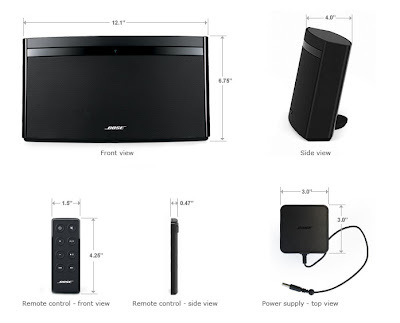 We admit to be quite keen on wireless speakers, be they bluetooth or WiFi operated, and Bose is a trusted brand and one we've been pleasured by in the past. We tore open the box. Read this: THIS IS ONLY COMPATIBLE WITH APPLE. Got it? Good, because although the speaker's box mentions Apple's AirPlay function, by which iPhones, iPads and iPods can stream music to other sources, there is no mention of Android's incompatibility. 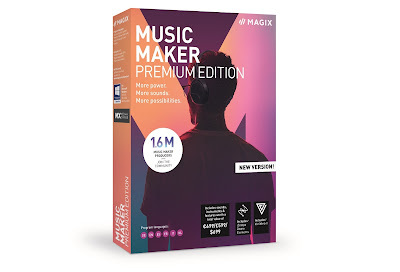 We're certain this has already upset quite a few 'droiders, especially those who would have bought it assuming the various streaming methods available on Android would work. BUT THEY WON'T. That said, we picked up an iPhone and got started. The speaker itself is sleek, smaller than you would think, and very solidly built. Included in the box is the unit itself, a remote control, power adaptor, USB cable and documents. Set-up was not, unfortunately, a walk in the park, with it being necessary to connect the speaker to a computer (not the aforementioned iPhone) and download an application from Bose. This allows the SoundLink Air to connect to your WiFi network. After that, all was well, and the phone detected the speaker as an option in the AirPlay menu. And what an option it is. Its no exaggeration to say that the quality of sound was similar to actually having a stereo jack physically plugged into the phone. The streamed music was rich, crisp and with excellent highs and lows. 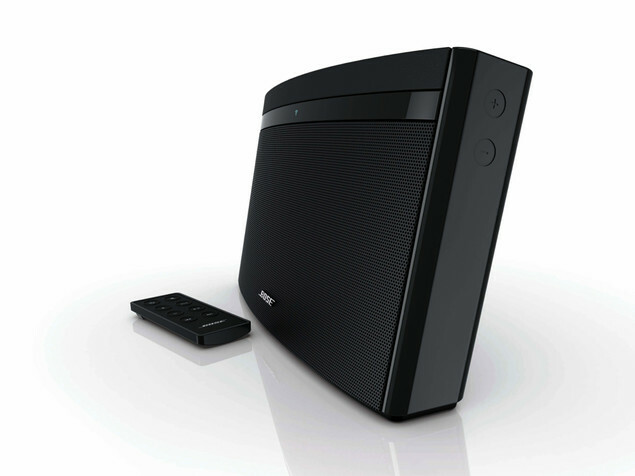 We did find that the nearer the SoundLink was to the Wifi router, the better the sound – which was to be expected. However, no matter where the phone itself was within range of the network the sounds were still of great quality. We were happy, even while rocking out to a bit of Justin Beiber. But then... and this is a big 'but then'... we switched the SoundLink Air off. We know, pretty silly of us, eh? But we needed to sleep and decided the annoying floppy-haired Canadian wouldn't be conducive to a pleasant night's sleep. When we tried to switch it on the next day, the speaker couldn't find the network. We had to go through the whole installation process once again. Yawn. Assuming it was just a glitch,we did the same again, switching the unit off. Once turned on again we were depressed to find that it still couldn't connect to the network. The installation process began again. Read any other reviews of the SoundLink – be they on Amazon, Apple UK or other testing sites – and you will hear similar accounts. After a few goes, and many re-installations, we found that this happened about 60% of the time. Annoying to say the least. Hopefully it is a glitch in the firmware and Bose are swiftly working on a fix. But that said, when it was working, and playing that streamed Beiber, it was an absolute joy to behold. 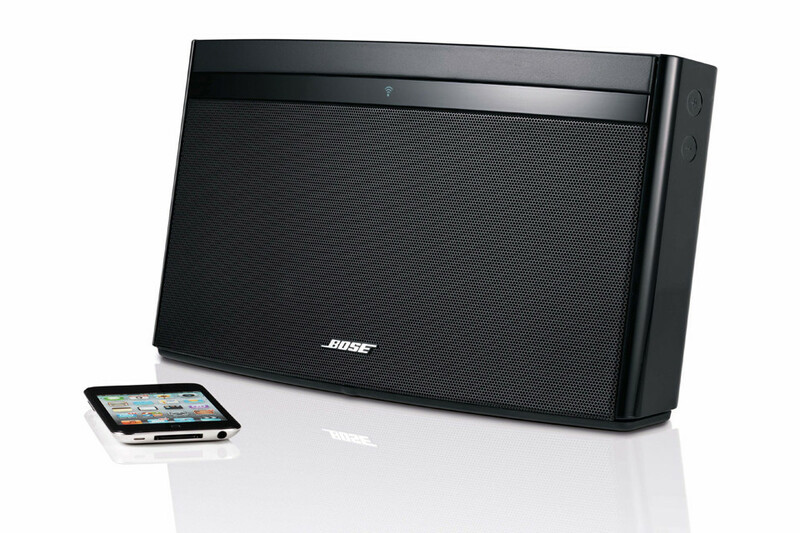 We would have liked Android compatibility (which would surely have doubled Bose's potential market), and once the connection bug is fixed, the Bose SoundLink Air Wireless Speaker would make a perfect companion for music loving Apple-ites.